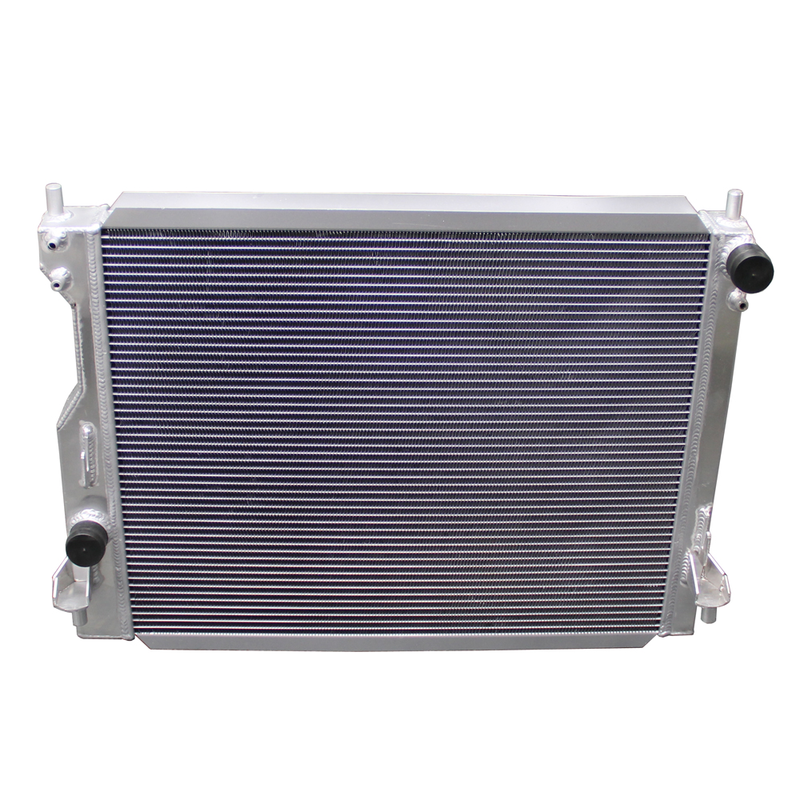 Cool down your S197 05-14 Mustang V6, GT Manual with this performance 3 Core Aluminum Radiator. 25% more cooling capacity than the factory radiator and all aluminum construction. Installs in 1.5 to 2 hours. 2005 2006 2007 2008 2009 2010 2011 2012 2013 2014 5.0L Coyote Boss 302 4.6L V6 GT Mustang Steeda Roush & Saleen Vehicles. For use with cars with manual transmission only. * Can be used an on automatic transmission car if using a separate transmission cooler. No one else can stack up to the bold clean styling of our aftermarket Billet dress ups, Street Strip & Racing Suspension & Performance Parts for your late model American Muscle Car!